Parking is free at our North Campus. Travel eastbound on WA-520. Take the 148th Ave NE N (northbound) exit. Merge onto 148th Ave NE. Turn left at NE 29th Place. The entrances are the 4th and 5th driveways on the right. Travel westbound on WA-520. Take the 148th Ave NE exit. Travel straight through intersection of 148th Ave NE and continue west on NE 29th Place. The entrances are the 4th and 5th driveways on the right. 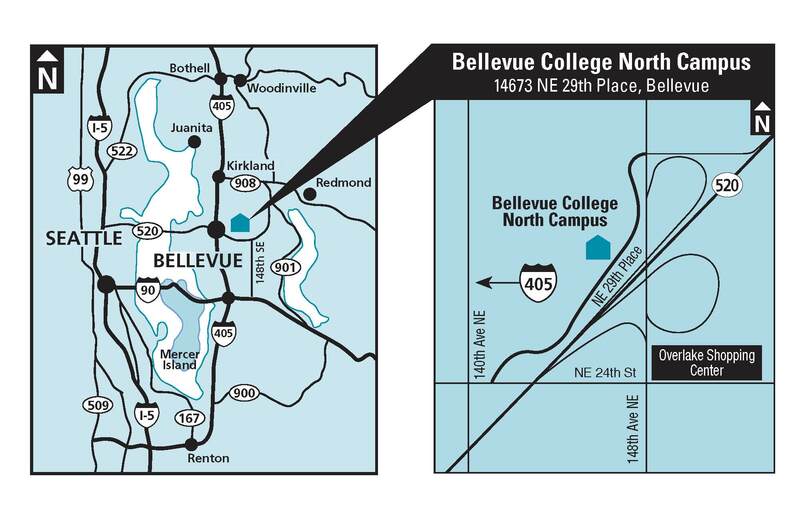 Traveling either north or south on I-405, take exit 14 to merge onto WA-520 E toward Redmond. Take the 148th Ave NE N (northbound) exit. Merge onto 148th Ave NE. Turn left at NE 29th Place. The entrances are the 4th and 5th driveways on the right. Travel north on 148th Ave SE. Cross over WA-520. Turn left at NE 29th Place. The entrances are the 4th and 5th driveways on the right.